How many participants can take part in a workshop? Who are workshops suitable for? I have an idea for a workshop but it's not listed on your site. Can you deliver it? How much notice do you need to deliver a workshop? How many sessions are included in a workshop? How many musicians run a workshop? Are MWC musicians DBS checked? How is a workshop day organised? Do you have a venue for workshops? 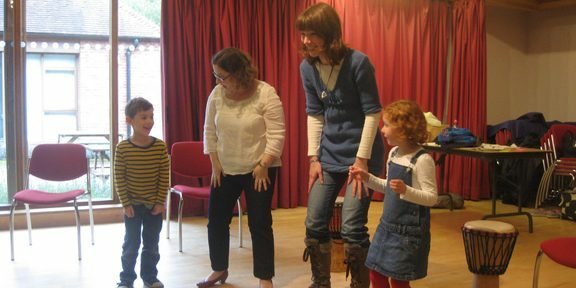 Yes, all our workshops are interactive, involving the participants through playing instruments, singing, body percussion or dance. We tailor the participation to the ability of the participants. We usually work with 25 - 35 participants in a workshop. To work with groups larger than 35, additional workshop leaders are required. Ideally our minimum number of participants would be 12. Workshops usually start from £345 (no VAT) for a half day workshop (up to 3 hours) with one workshop leader. Whole day workshops typically start from £450 (no VAT). MWC workshops are suitable for all ages and abilities. We tailor the workshop to the needs and abilities of the participants. We have a network of experienced workshop leaders who are continually developing new workshops, so the workshops listed on our site are just a flavour of what we offer. We can create a workshop to fit your needs. Our most precise request so far has been a junk percussion composition Samba workshop on the theme of Space! We usually request 6 weeks notice for workshop bookings, but we can often supply at shorter notice. A half day workshop can be divided into up to 3 sessions and a whole day workshop can be divided into up to 7 sessions. How many workshop leaders run a workshop? 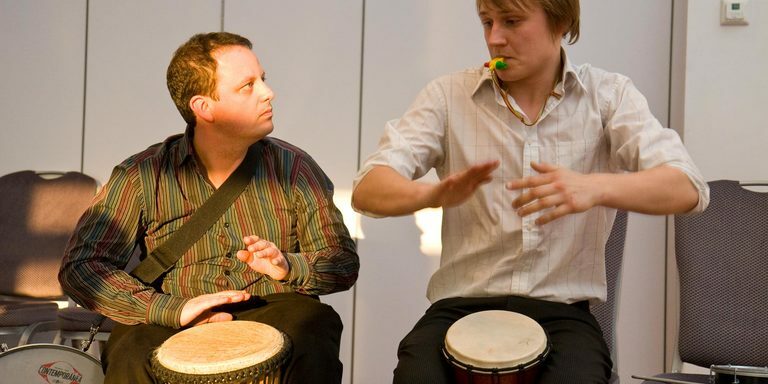 Most of our workshops are led by one musicians working with up to 35 participants. Exceptions to this include our dance workshops which are led by 2 musicians - a caller and a performer. Yes, all MWC musicians have Enhanced DBS checks which can be supplied. Musicians bring their DBS check plus photographic ID to workshops. We plan the day around your needs, fitting around your timetable. We design the day around your breaks and can work towards an end of project performance. We deliver workshops across Britain. We have delivered workshops from Anglesey to East Anglia, Southampton to Shetland. No, we either deliver to the client's venue or we can arrange a venue for the project at an additional cost. Here at the Music Workshop Company, we are passionate about music education and we’ve been supplying clients with fun, interactive, educational workshops since our launch in September 2002. Since that time we have supplied projects to schools, community groups, charities, event organisers and businesses all over England, Wales and Scotland. We have worked with over 120,000 participants from toddlers to grandparents in schools, shops, community centres, homes, conference centres and fields! We know the value of having a record of your project so we are happy to for you to record the workshops / performances – audio, video or photograph. The Music Workshop Company administrative team are based in Hertfordshire, but we work with a wide range of musicians based all over the UK. Projects have taken us from Southampton to the Shetland Islands, from Anglesey to East Anglia. All the Music Workshop Company musicians are professional music facilitators or workshop leaders. Many of our musicians also teach and perform at the highest levels as soloists, with their own ensembles, in recording sessions and with top orchestras. All have a wide experience of leading workshops and have Enhanced DBS / CRB checks which can be supplied. 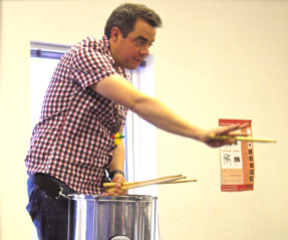 Are Music Workshops suitable for you? We have supplied projects to Primary schools, Secondary Schools, Young Offenders institutes, Youth Clubs, Event Organisers, Amateur choirs / orchestras, Leisure Centres, Hospitals, Museums and Summer Schools. We have supplied workshops to support G.C.S.E. and A-Level courses, for Arts weeks and Multi-cultural weeks, to supplement the National Curriculum, for Christmas parties, for festivals, for inset days, for drama projects, for conferences, for training days and careers days…. Why not contact us to discuss ideas for your next project?